First and foremost, I love how super responsive their customer service team has been. I have been able to have my issues and questions resolved quickly, and in today's fast paced world, this is very important. I do like how user friend the site is, and the ease of getting information. I can't think of anything specifically I don't like. The refresh rate was a little slow at one point, but that seems to be better now. I think for what it is set up to do, it is a product well worth it. This has been very beneficial to our TV station in analyzing our app activity. It helps both our news teams and our sales teams with different functions. "Good tool, but a shame they got rid of their free tier!" Using a push notification platform such as Urban Airship can save a great deal of time instead of having to build one in-house. The ability to create channels and segments, schedule and batch notifications is extremely useful. The setup (iOS) is pretty straightforward, although migration between major versions of their SDK hasn't always been seamless (but that is expected, specially when the updates reflect major changes in Apple's own APIs!). Their support team was always helpful when required. I used to use Urban Airship in some of my personal apps a few years ago, and being an iOS developer with little server-side experience, having a platform like this was a life saver. However they unfortunately got rid of their free tier, and the lowest price plan became too expensive for an indie developer. A lot of my clients still use it however, on larger projects with real budgets! Their SDK seems pretty solid these days, but we have been faced with some pretty major issues in the past, notably because of the fact the 'detectProvisioningMode' feature was broken and resulted in all our production users being registered to the development account! Although the feature seems to work correctly these days, I would suggest not using the 'detectProvisioningMode' and specifying the environment manually, either by code or using a separate config file for development and production environments! Not having to build an in-house push notification server! That said, there are plenty of open source products which let you build a push notification server, though implementing things like channels, segments, scheduling and scaling is less trivial. 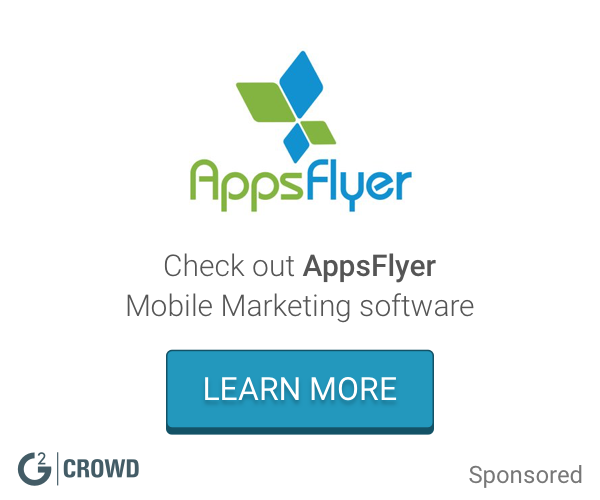 "Simple Yet Effective Platform to drive App Engagement "
Ability to automate push notifications and in-app messages. As well as, analytics to measure effectiveness of a campaign within the Urban Airship dashboard: funnel reporting, data exploration, audience analysis and performance dashboards. API for real-time user-level data to integrate with mobile app experience can help developers and marketers in optimizing customer experience on mobile app devices such as iPhone and Android by targeting and personalization using device ids and customer ids connection. Analytics and integration of data sources can help lift app installs as well as loyalty to increase customer retention and return rates for retail businesses. Not able to connect mobile link clicks to on-site activity to get full view of engagement analytics. Difficult to identify customers and churn relative to other digital properties and in-store transactions. Big Data analytics needs improvements when compared to other industry leaders such as Adobe Data Workbench, Google Big Query, etc. Additionally, integration with CRM solutions to run email campaigns would help improve its effectiveness around executing multiple kinds of campaigns from one interface. Ensure you have post click tagging set-up so you can connect link click activity in mobile app to landing activity in desktop experience. Using Urban Airship to target customers who are members of coupon loyalty program but not actively using it . Executing push notification campaigns on a seasonal and periodic basis to notify customers about attractive coupons and clearance events to increase their engagement in loyalty program. "Great tool to improve accuracy and efficiency of customer reach"
This really was an all-in-one, one-stop-shop tool for optimizing push notifications to best suit our goals for company growth and maintenance. It was awesome needing to verse myself in only one platform to analyze and utilize all of the valuable information we obtained from Urban Airship. We were able to easily determine the effectiveness of our behavioral and mechanical pushes as well as employ new push techniques in response to poor feedback. Our engineers spent much less time in a work area to which man-hours had never before been adequately appropriated. Urban Airship relieved so much undue stress from some of our most valuable employees all while actually saving the company money and positively impacting public perception of our products. Additionally, so many other business entities use this same push tool, that many issues and glitches were taken care of almost immediately after being discovered. Troubleshooting was often a matter of referencing a quick database or contacting a very attentive and knowledgeable customer service representative. We loved every part of this product when considering the needs of our company alone. With that said, one potential issue with the product relates to smaller businesses. Businesses with fewer push needs or which simply don’t (yet) have the budget to support jumping into the push marketing space at this level may want to consider other simpler, more cost effective solitions to targeting their audience through specialized alerts. Although the features and interface worked exceptionally well for us, and ultimately increased net profit based upon the marketing strategies it is designed to streamline, for smaller businesses this may not be the case. Even businesses with different objectives, audiences, and/or platforms may have a different experience than was ours, simply because Urban Airship is pricier than many of its competitors. As stated above, we were able to allocate man-hours to troubleshooting that dealt directly with our products, rather than marketing needs. Economically, the program was well worth it for us. We gained valuable insights into the importance of mobile marketing and how to most effectively reach potential customers within our target community. we use this for all our app project either Android or iOS. Urban AIrship provides us the very easy way to implement the push notification in Android and iOS. It has the very good features for Android and IOS and push notification is one of them. It has a limit to send the message in a month. If you want to send more message, you need to pay more. If cost doesn't matter to your company, this is the very good product for the push notification. Becuase if you want more features, you need to pay more. After switching to the Urban airship, we don't face any push notification issue. This is the benefits which we realized. I love how innovative Urban Air Ship is & how it has helped in promotion of my company and taught me how to ensure the growth of our media. Not much that I dislike. It’s a really useful tool so I can’t complain! I am actively growing our company through Urban Airship. Without it we wouldn’t be where we are. "Not a bad notification system"
They do have some great customer service. They did some good work around end user aesthetics. The refresh rate was lagging at times, but mostly it ran well. We used it as a notification system for many of our apps. After some initial issues on implementation, we worked out the kinks and got it running well. We use urban airship for all of our app projects - it seems to be the most efficient and reliable, as well as an industry leader. I don't know as much about this product as our IT leads do, but there has been very little complaints about it that I have heard from them. I do not have any additional recommendations to others considering Urban Airship at this point in time. Building apps for customers. It is efficient for us using this one platform. "Push notifications the easiest possible way"
Urban Airship is the easiest possible way to implement push messages on Android and iOS. It costs money to send more than a few thousand messages a month. If you don't want to spend time setting up a GCM/APNS server, don't. Use Urban Airship instead. Client side integration is *so* fast. It's faster than native GCM setup, in my opinion. I like the platform's ability to locate people based on device GPS. It makes it more user friendly. So far there have been no complaints feom customers or employees. "Very easy to integrate with existing solutions"
I really like all the components of mobile advertising offered by UA (Push notification, In-app messaging etc). A new user might feel that the documentation is not thorough. I felt that way when I tried to integrate UA with one of the mobile games that I created using the unity framework. I used to use UA to monetize the mobile game that I created. I mean it was helpful for building customer interaction, which helped with some retention. It felt a bit clunky to setup, and we had some negative comments internally about the testing. We were trying to utilize for customer retention. "Very pricy, switched to SNS"
Their API was actually nice and batch sending notifications. Their price. Their support. Their device management tools. 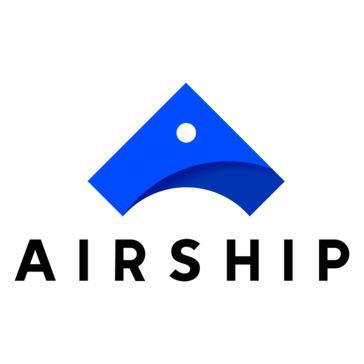 * We monitor all Airship reviews to prevent fraudulent reviews and keep review quality high. We do not post reviews by company employees or direct competitors. Validated reviews require the user to submit a screenshot of the product containing their user ID, in order to verify a user is an actual user of the product. Hi there! Are you looking to implement a solution like Airship?